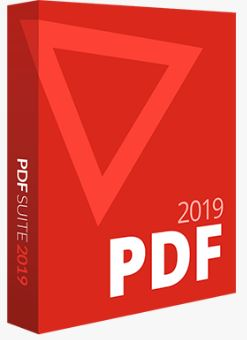 All-In-One PDF converter turns PDFs into 7 high-quality file formats, including Word / Excel / HTML / Images / Epub / Txt / XML. All PDF Converter Reviews Recently Reviewed! Pros: Converts PDF, word, excel, PPT, Image, DWG and PST accurately and in high quality. Cons: Although this is a paid for software - it is worth the price for the high quality conversion and ease of use. Thank you so much for your professional review! Pros: Its interface is easy to understand and one does not need any kind of specific training to work on this software. Overall: Convert PDF files to Word and Excel and other formats, without modifying the original format of the information. Thank you so much for your nice review. The product has been upgraded and it will perform better than ever before. Cons: while i was converting multiple files it got froze for 10 secs but the file got converted, and it slows down when i add multiple large PDF files. Other than that all other features are working fine. Overall: I mostly use 'All PDF converter' for 'pdf to image' and 'pdf to excel' conversions and it worked perfectly , i only had problems when i add like 20 files at the same time, so i just add 10 files batch first and convert, and it works and its easier to use. Pros: Its work good to Convert word file and very easy to use. Pros: Multiple languages including English, Chinese, German, Russian, French. Turn PDF files to 7 formats without issues. Cons: Only ten times use for free. No online update, you should download the new version from the website. Only a few giveaway campaigns. Overall: I can turn my PDF files to other editable formats freely and easily. Pros: Just drop your files and get relaxed. It will doeverything. The quality is good, easy downloading. Cons: Nothing. I used it quite a few times and was satisfied. Pros: Gets the job done, allowing you to convert PDF files into various formats while previewing file output size. Thank you for your review. We will improve our customer support and you can expect a better experience.